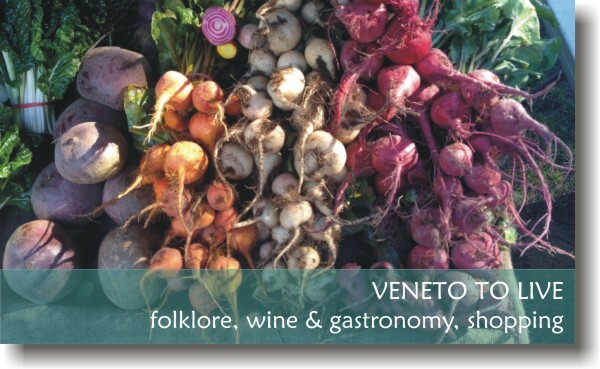 Discover with us the Veneto region: its art, history, nature, traditions and flavours! The Veneto region is located in a strategic geographical position between the Mediterranean and Europe and has always been a political, trade and cultural place of great importance. A melting pot of tradition and modernity, science and spirituality, expressed through cultural liveliness and Entrepreneurship: here’s the secret of the Veneto success throughout the world. In the Veneto region Tradition lives on thanks to the numerous Pageants, some of which are truly amazing, such as Carnival or the Redeemer Feast and the historical Regatta in Venice, the Horse Race in Noale, the Living Chess Game in Marostica, the Roman centurion in Rovigo or the Goose Game in Mirano. Not to mention the typical local products and the Veneto cuisine, that for locals are simply unique, such as the excellent Asparagus, the renowned white or red radicchio, the Lamon Beans. Cattle cows are bred to produce milk from which the tasty Asiago or Piave cheese are made. Veneto is definitely the land of “Polenta”, which nicely matches several dishes, one for all “poenta e baccalà” or polenta and stockfish, and it is one of the major wine producers in the world: Amarone, Recioto, Soave, Pinot Grigio, Prosecco, Tocai and Verduzzo are some of the best wines and definitely worth a sip. The list of dishes, then, is too long to name them all, but just to make your mouth water : a plate of “Bigoli in Salsa” or pasta with duck ragout, mashed “Gnocchi”, “Risi e Bisi” or risotto with peas, “Pasta e Fasioi” or soup with pasta and beans, a slice of “Musetto” (a sort of salami), “Baccalà alla Vicentina” or Vicenza-style stockfish, mashed stockfish, “Sarde in Saor” or marinated sardines, “Fegato alla Veneziana” or Liver venetian-style and cakes such as “Galani”, “Frittelle”, “Pinza”, the list is endless! A “Must-do”, then, is the Spritz Crawl in Padua’s squares, as it is the iconic “Bacarata” or Pub Crawl in Venice … try to believe!